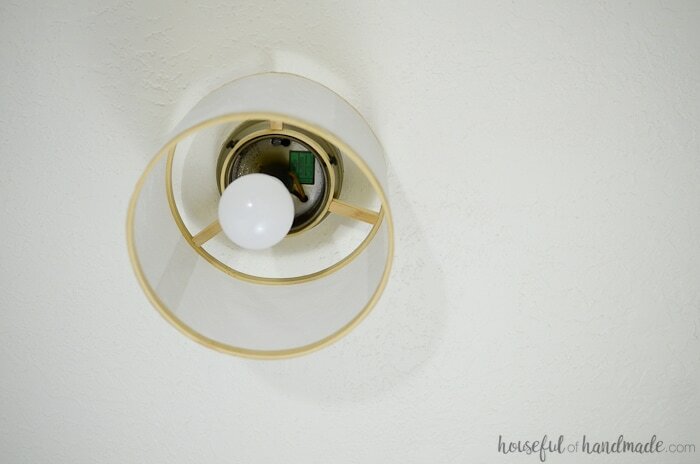 Create a beautiful drum ceiling light from an old globe light fixture. This easy DIY is perfect for adding style to any home on a budget. 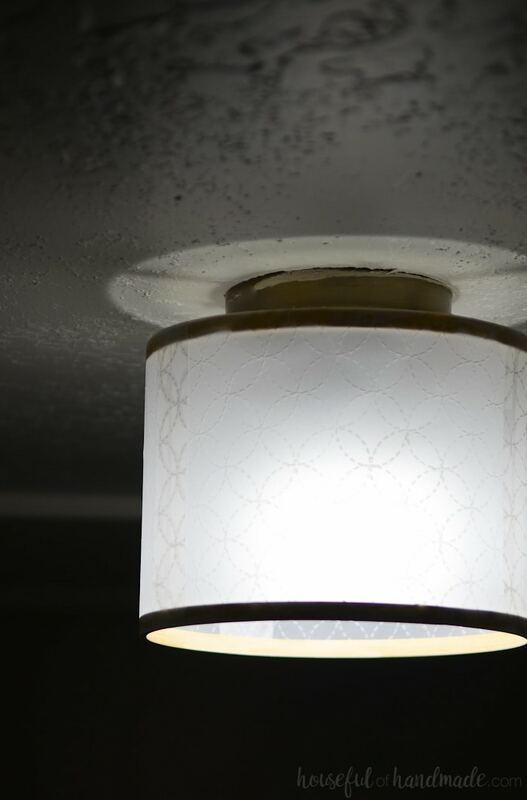 Upcycle your old globe ceiling light into a drum ceiling light with this easy tutorial. 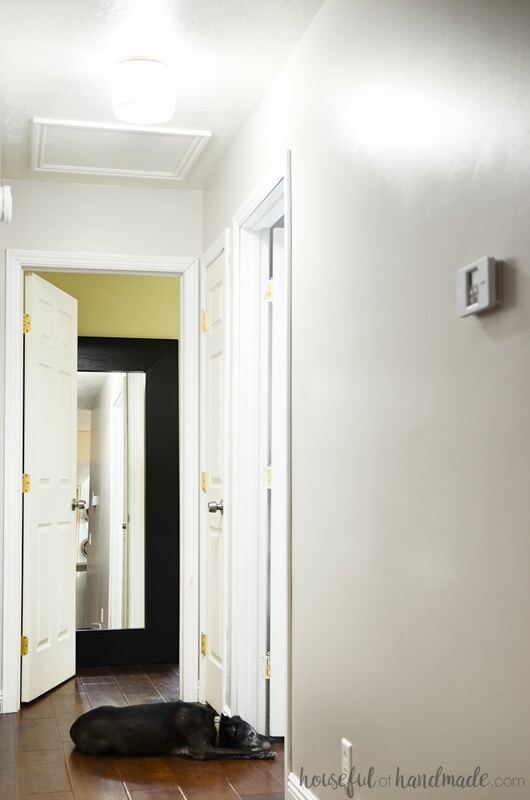 For only a few dollars you can create a beautiful hallway light fixture. 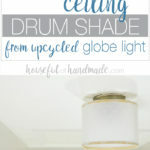 The drum shade is a perfect replacement for the outdated globe light. 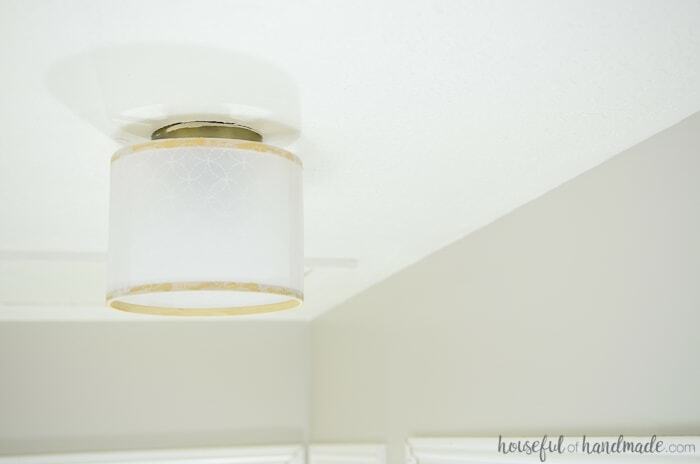 I have partnered with Spellbinders to share this easy drum light fixture with you. This month I decided to stop neglecting our hallway! It’s embarrassing to admit that this frequently seen room was still sporting the ugly, beigey-neutral paint color that most of our fixer upper was painted when we moved in 12 years ago! Yep, you read that right. I have not bothered even giving our hallway a fresh coat of paint in 12 years. Instead of updating this central room of our house, we have been busy redoing the rest of our home. You can follow along with our DIY remodel here. But every day I walk through the main hallway about a million times! Okay, I might be exaggerating a bit. However, I do have to go through this hallway to get to my bedroom, bathroom and office/craft room. And these rooms definitely get the most of my attention. Now I am happy that my journey through our main floor is much prettier with the addition of a fresh coat of paint and a new drum ceiling light fixture. After painting the hallway, I knew I could not put that old globe bowl back up. 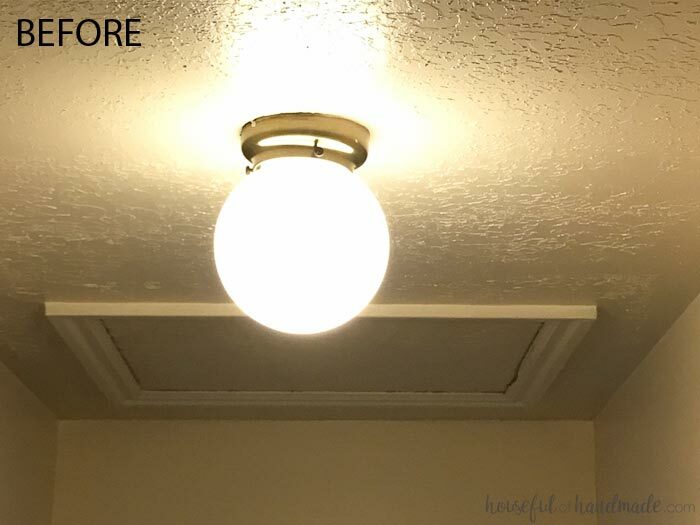 But instead of heading to the store to find a new hallway light fixture, I decided to DIY one! I am in love with the drum ceiling light fixtures. They are so beautiful, with a slightly feminine softness. But they are not too trendy that I will hate the light fixture in a year. And I knew I could create the perfect drum ceiling light with a few basic supplies. Then to make it truly unique, I used my Spellbinders Platinum 6 machine to add some texture to the drum shade. The new hallway light fixture makes me so much happier than the boring globe! Using the base of the globe light, I created a beautiful drum shade. The shade was easily affixed over the old light base and now all you see is soft pretty light. I love the new drum light so much that I am wondering where else I can add another one. 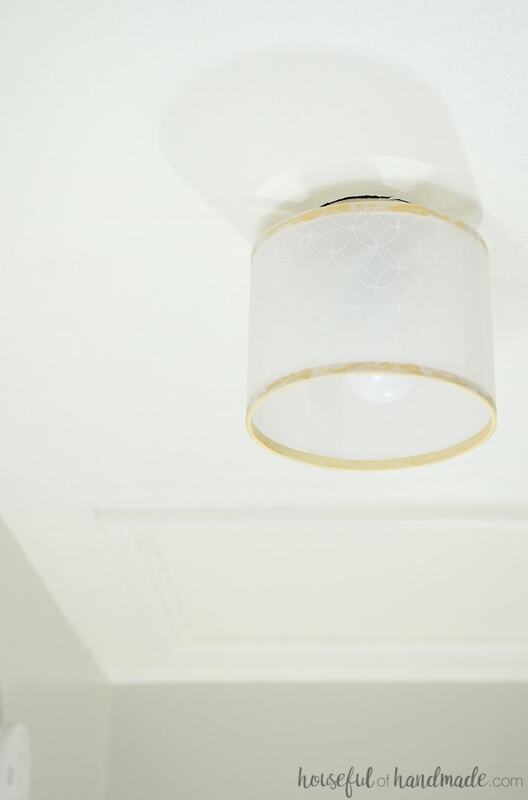 To see how I created this beautiful drum ceiling light, click on the arrow below for the complete tutorial. And then don’t forget to check out the rest of these fun DIY Decor tutorials to help create the home of your dreams on a budget!